We are excited to provide our community with items needed for their Thanksgiving dinners this year. We will be distributing non-perishable Thanksgiving food items to our local community on November 17th. We need your help! 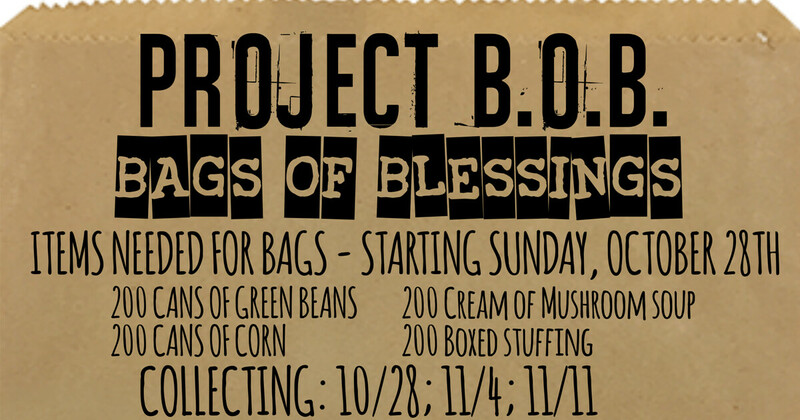 Living Hope Church will be collecting 200 cans of corn, 200 cans of green beans, 200 cans of cream of mushroom soup and 200 boxes of stuffing on Sunday, October 28, November 4 and November 11. Let’s help feed the hungry this Thanksgiving!